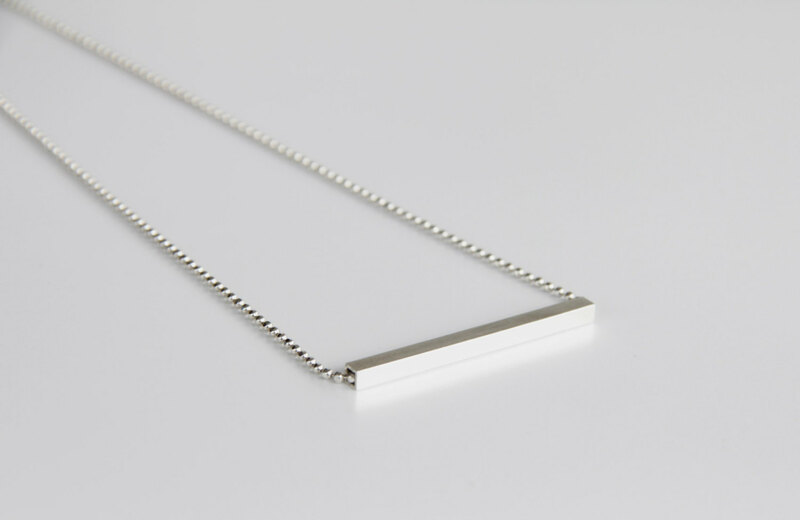 - A piece of sterling silver square tube is hung through a fine quality sterling silver diamond cut ball chain. - The square tube measures 4cm (1.6 inches) long by 3mm (0.1 inch) wide. 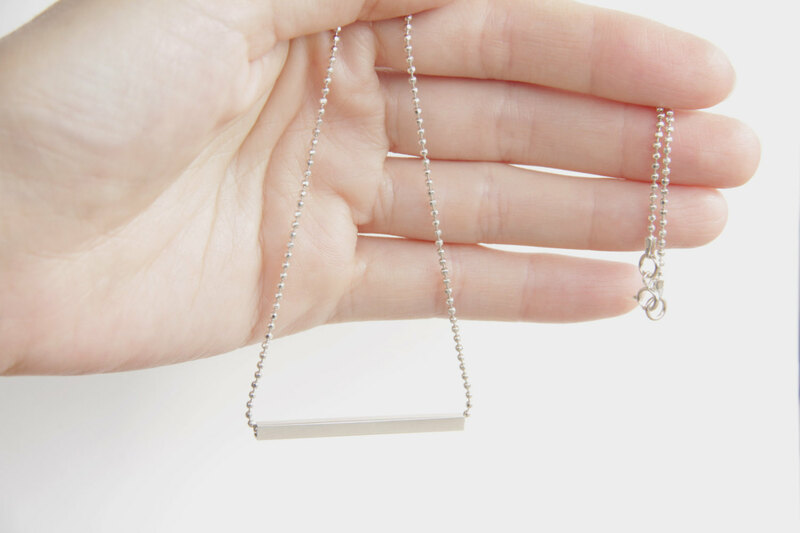 - The necklace measures 40cm (15.75 inches) long.